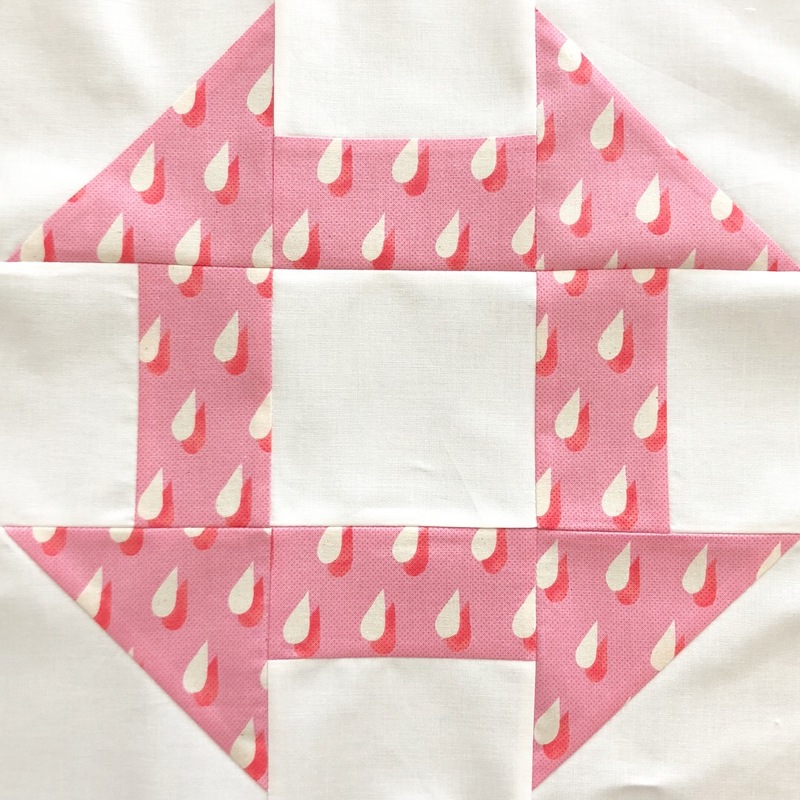 There's something comforting about having old familiar skills you can rely on when quilting, but every once in a while it's nice to step outside of your comfort zone to learn something new. 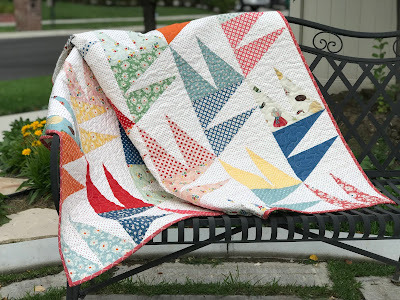 That's exactly what happened when I was asked to make this fun new pattern from Fat Quarter Shop. 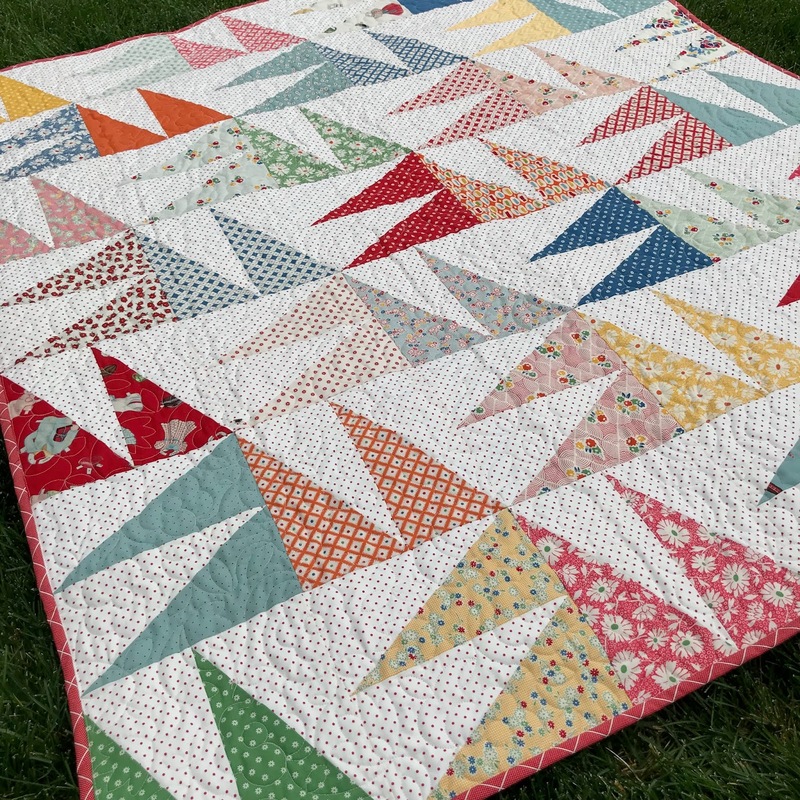 This Jolly Bar Meringue quilt is made using half-rectangle triangles. I was pleasantly surprised at how easy the blocks were to make, using Jolly Bars and a special ruler. 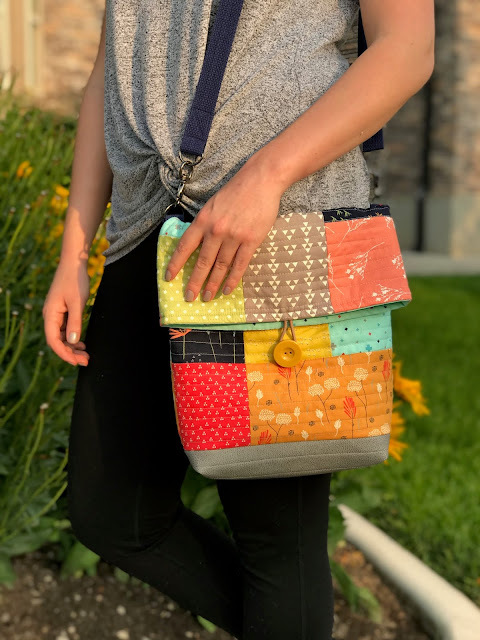 I'm so happy with how cute it turned out using these American Jane fabrics by Moda. For more information and video tutorial for how to make this adorable quilt, pop on over to the Fat Quarter Shop Blog. 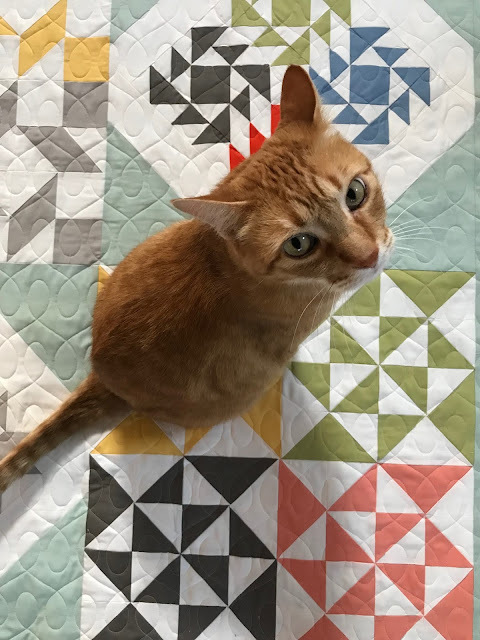 It's hard to believe that we're almost halfway through the year and that we're on our sixth and final block for the Clementine Quilt Along to benefit St. Jude Children's Research Hospital. 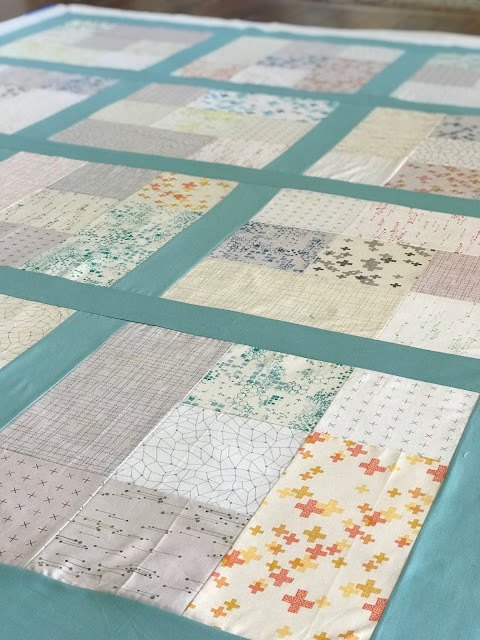 It has been such a joy to work on these beautiful quilt blocks each month. And I think Fat Quarter Shop actually saved the best for last! I simply love these star blocks. 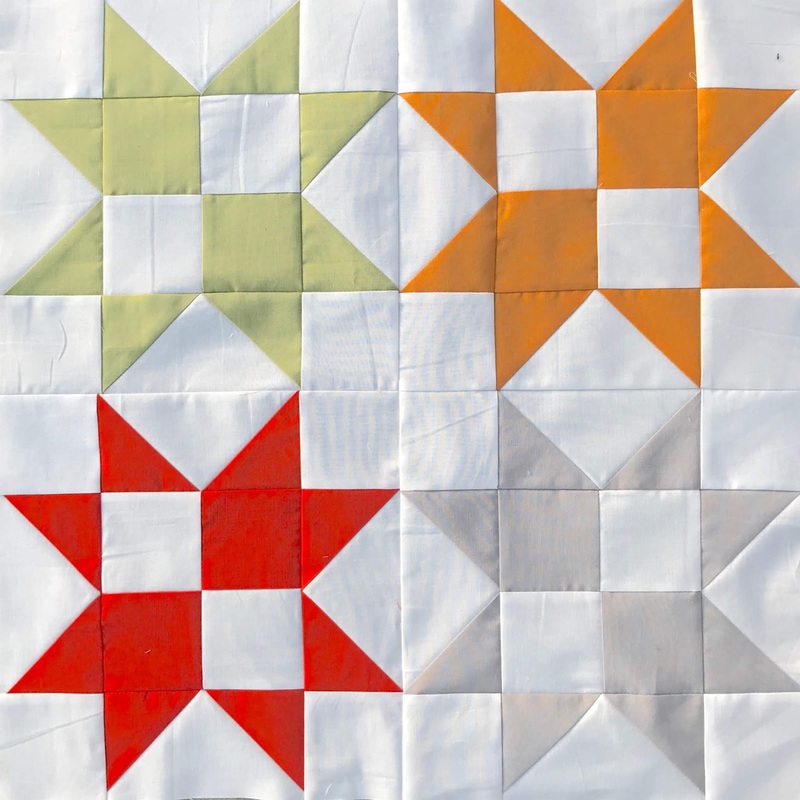 Each block is made using one four-patch, four flying geese, and four corner squares. The really go together quickly and easily. I'm pretty certain that I'll be using this block in a future quilt. It's going to be so fun and exciting to assemble these blocks into a quilt next month. I'm really loving the Moda Bella Solids that I chose and hope that they come together to make a beautiful quilt. I have a feeling that they will! 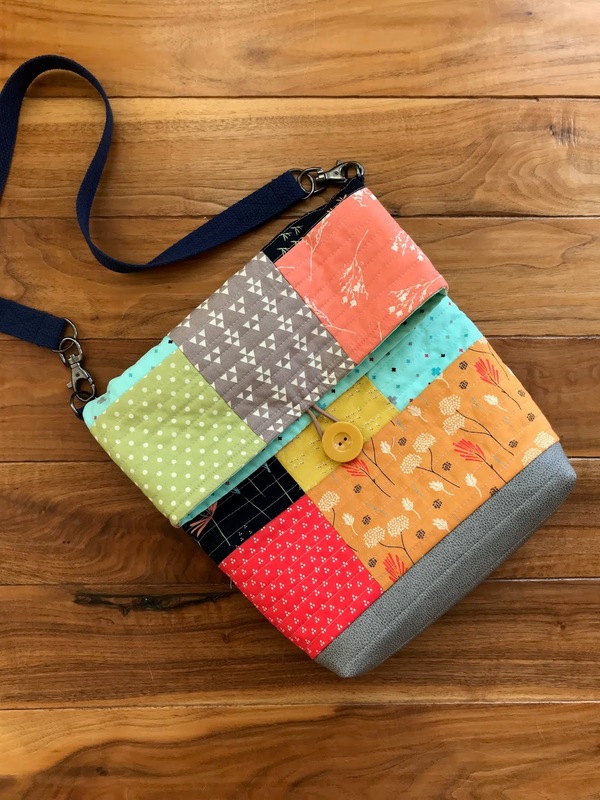 Hop on over to Fat Quarter Shop's blog for this pattern and all of the details on how you can donate to St. Jude! 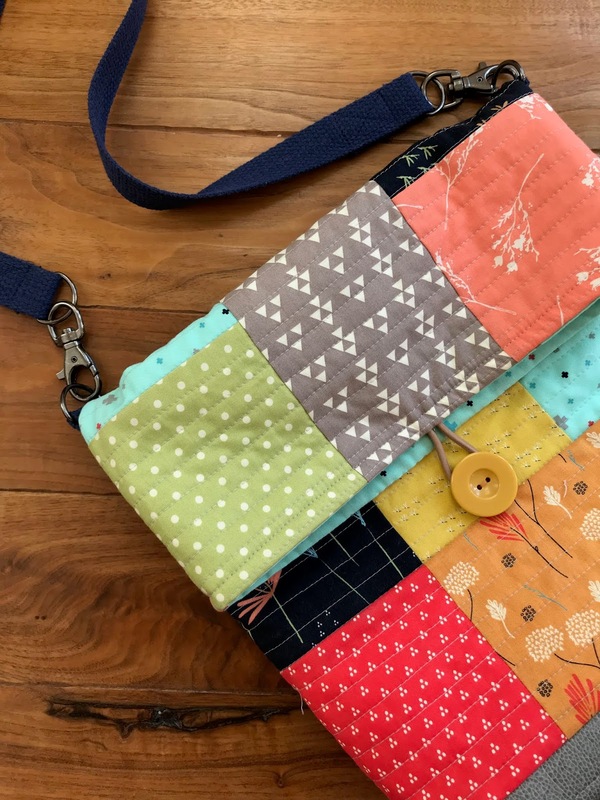 Are you one of those people who loves to give handmade gifts during the holidays, but always puts off making them until the last minute? 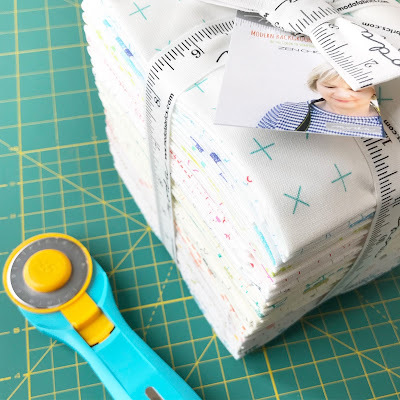 Well, Jen Van Orman of Heritage Threads and I are here to help! 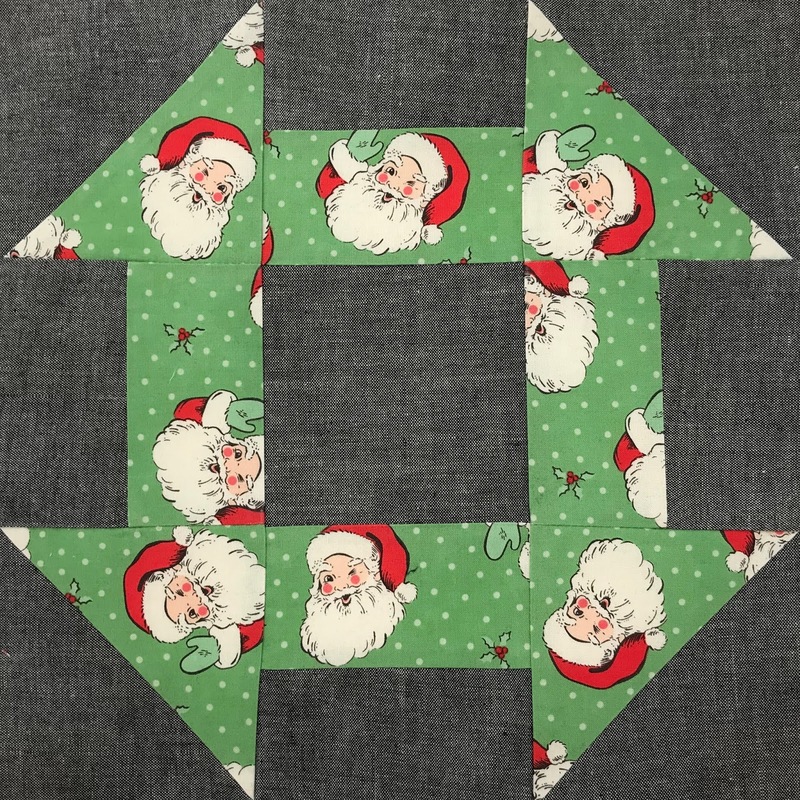 We're joining forces again for our second Christmas in July quilt along. 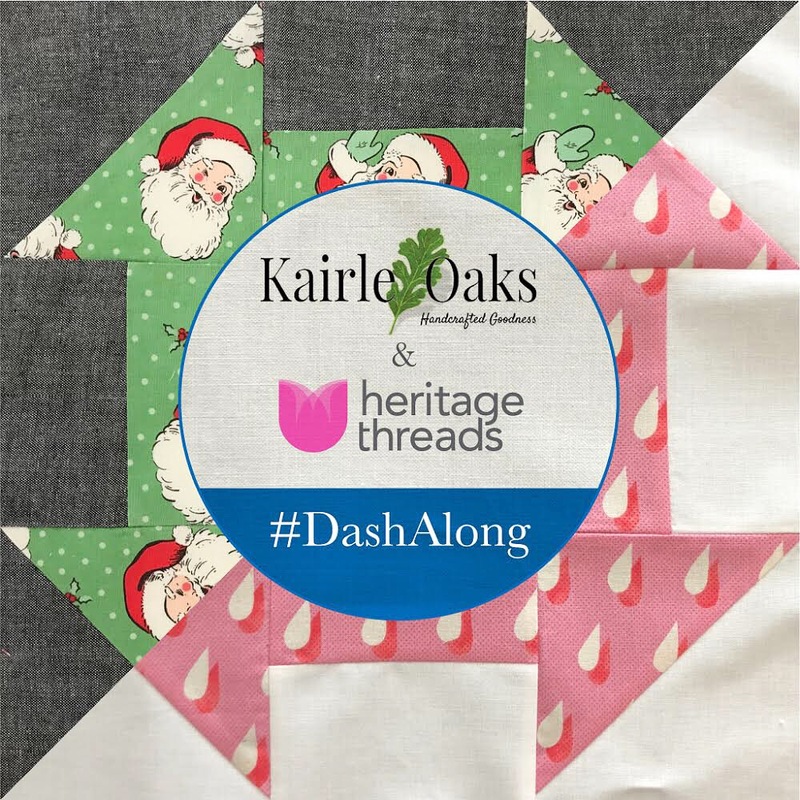 This year we're excited to announce that we will be sharing the instructions for a Churn Dash quilt. 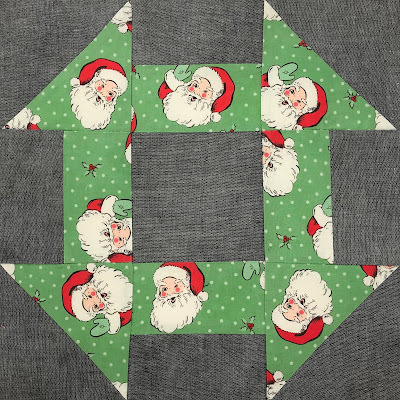 I'm making my quilt in Christmas fabric, so that I'll have a cute quilt ready to put on my bed once the snow starts to fly, and Jen is making hers using non-Christmas-y fabrics, so that she has an option to give her quilt as gift that can be used all year long. 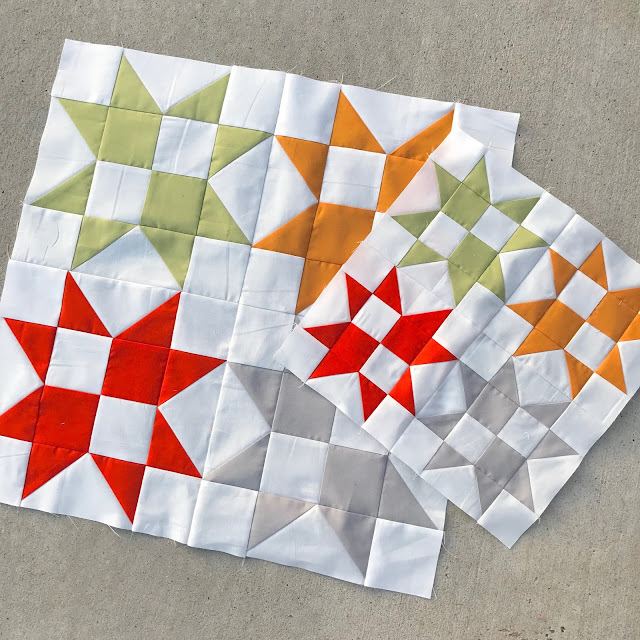 One of the things that you'll love about this quilt along is how simple it is to cut these 12" Churn Dash blocks using 10" fabric squares and some yardage for the background. We're giving you two size options, so you get to decide what size quilt you're going to make! Click HERE for a mobile download. Week One: Cut the fabrics and sew the "bar" pieces together. Week Two: Sew and trim the Half Square Triangles. 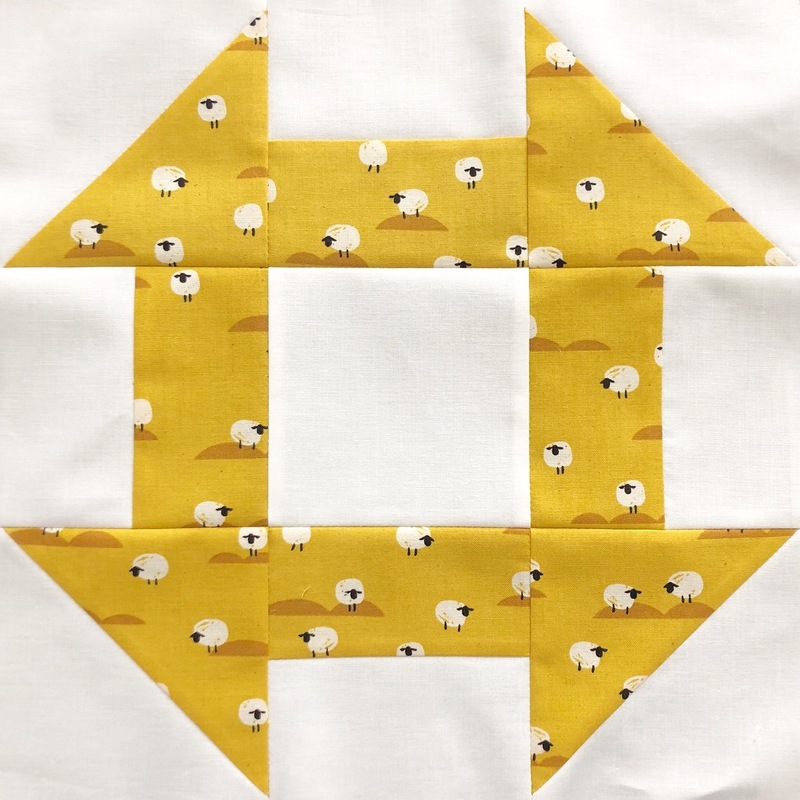 Week Three: Sew the blocks together. Week Four: Assemble the blocks into a quilt. We hope that you are as excited as we are! This is going to be so much fun! Be sure to follow me and Jen on Instagram, as we'll be having giveaways for those who are quilting along with us! so that we can see your progress! 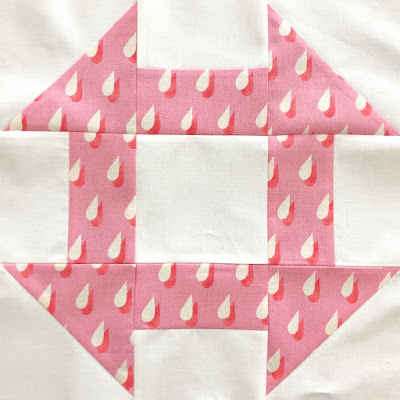 Today I'm sharing a block pattern with a cause. 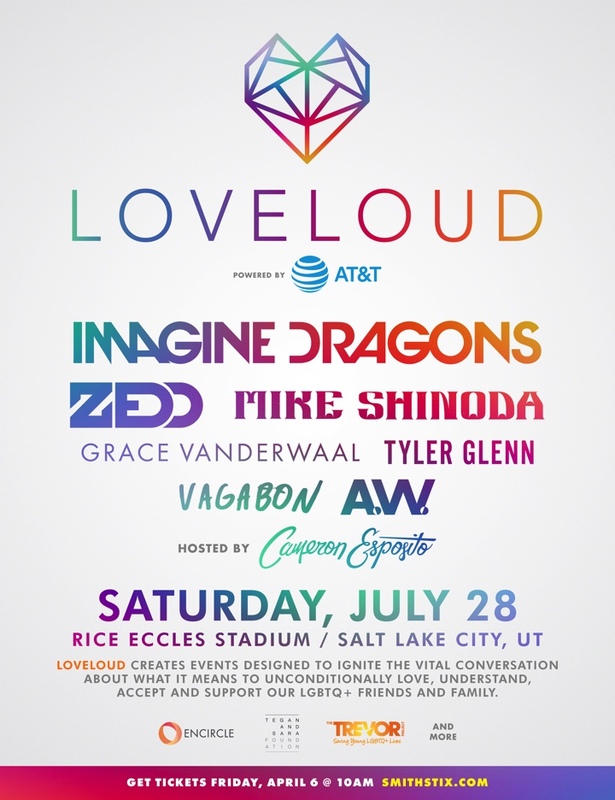 My friend Johnny of Big City Quilts has organized a heart block drive in conjunction with the upcoming LOVELOUD Fest that will be held in Salt Lake City on Saturday, July 28th. Johnny's plan is to make as many heart quilts as possible. 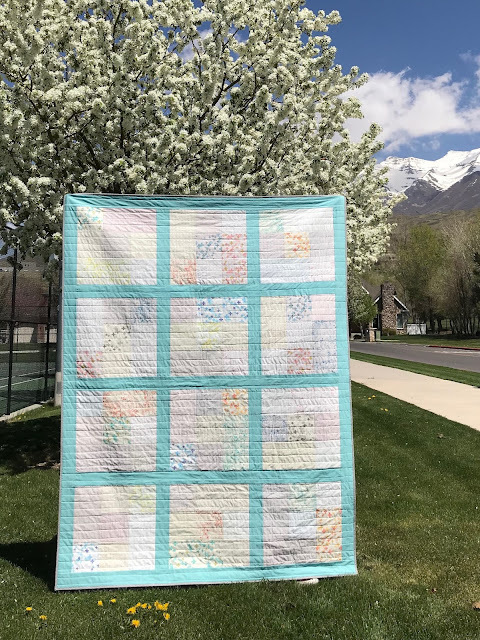 The quilts will be auctioned off to benefit Encircle in Provo, Utah. Check out his original post out HERE. 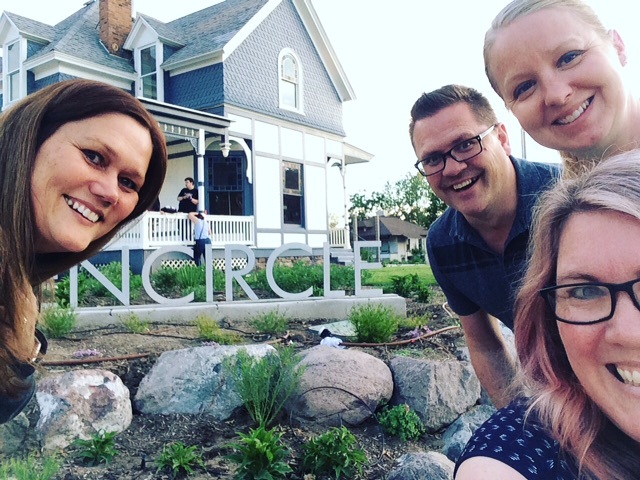 Encircle is a resource center for LGBTQ+ youth and their families. One of their goals is prevention of suicide amongst LGBTQ+ teens. Each life is precious, so I know that this is a cause that we can all get behind! 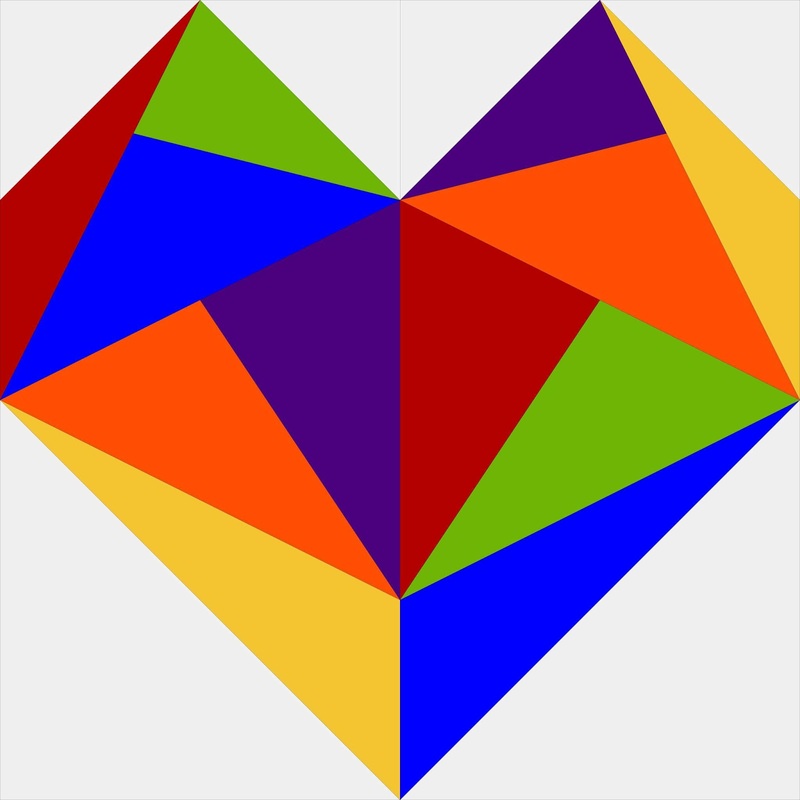 Encircle house is a place of love and acceptance, where everyone is welcome. Last month Johnny (@johnnybarfuss), Marion (@myquiltdiet), Emily (@simplegirlsimplelife), and I, had the opportunity to teach a beginning quilting class at Encircle. It was definitely an experience where I gained so much more that I gave. 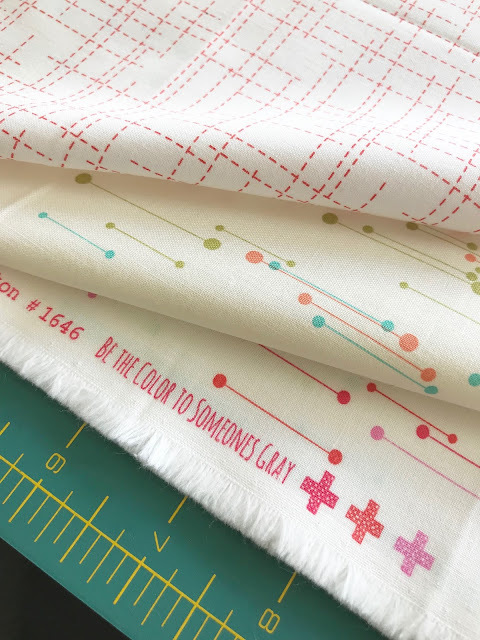 So are you ready to get sewing?! 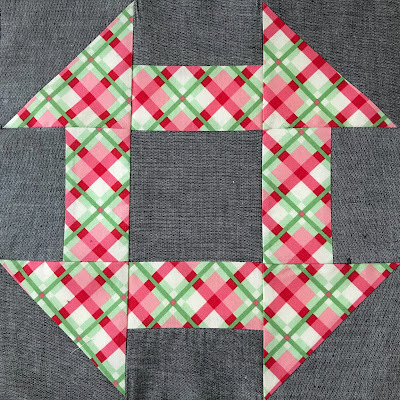 Here is the link to the 9" block pattern. Make sure to print it the actual size. 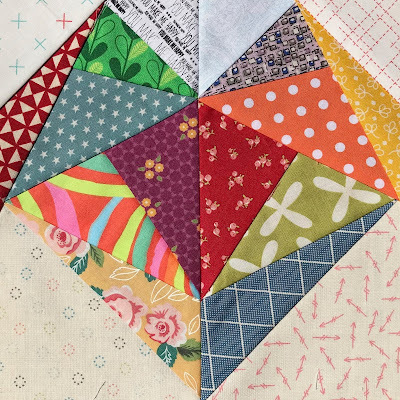 I made my sample blocks with bright, beautiful colors, using low volume fabrics in the negative space. How will you make yours? I suggest digging into your pile of scraps and going crazy! These blocks go together quite quickly and are so much fun. And you get such a sweet feeling knowing that you are helping others. 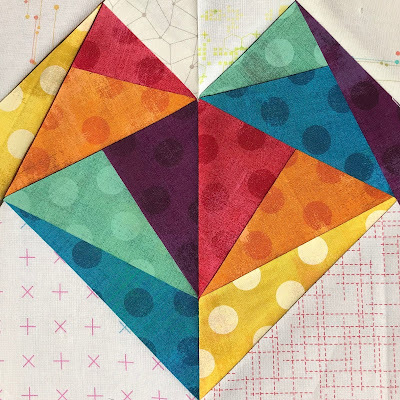 When you're finished with your blocks, tag them with #easyloveloudblock so that I can see your results! Please send your blocks to Johnny Barfuss. to get his mailing address. P.S. If you need a tutorial on how to paper piece, here is a video by David Gilleland that has been really helpful for me. Spring has finally sprung here in Utah, which means brisk mornings that turn into beautiful afternoons and evenings. This fresh Fat Quarter Cubes quilt it perfect for the changing of seasons. The low volume squares resemble the blossoming trees throughout our neighborhood. 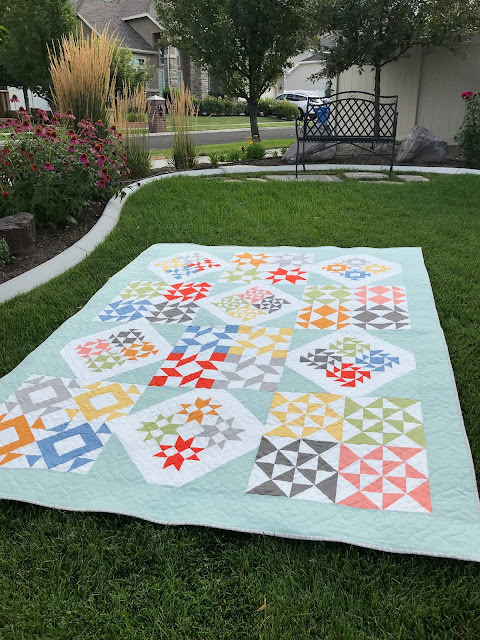 When I was asked by Fat Quarter Shop to participate in this quilt along, I knew immediately that I wanted to use Modern Backgrounds Color Box by Zen Chic for my quilt. I had my eye set on this bundle before it was released, and I have to say...it's every bit as wonderful as it appear in the pictures. We all know that everyone needs a pattern that they can fall back on when a quilt is needed in a hurry. Fat Quarter Cubes is just the ticket. 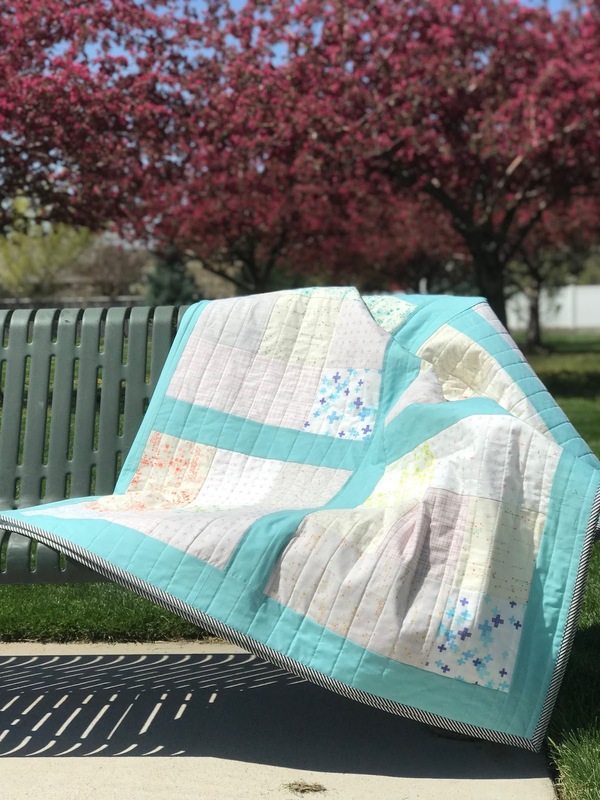 The big 18" blocks go together so quickly that your quilt top will be done before you know it! 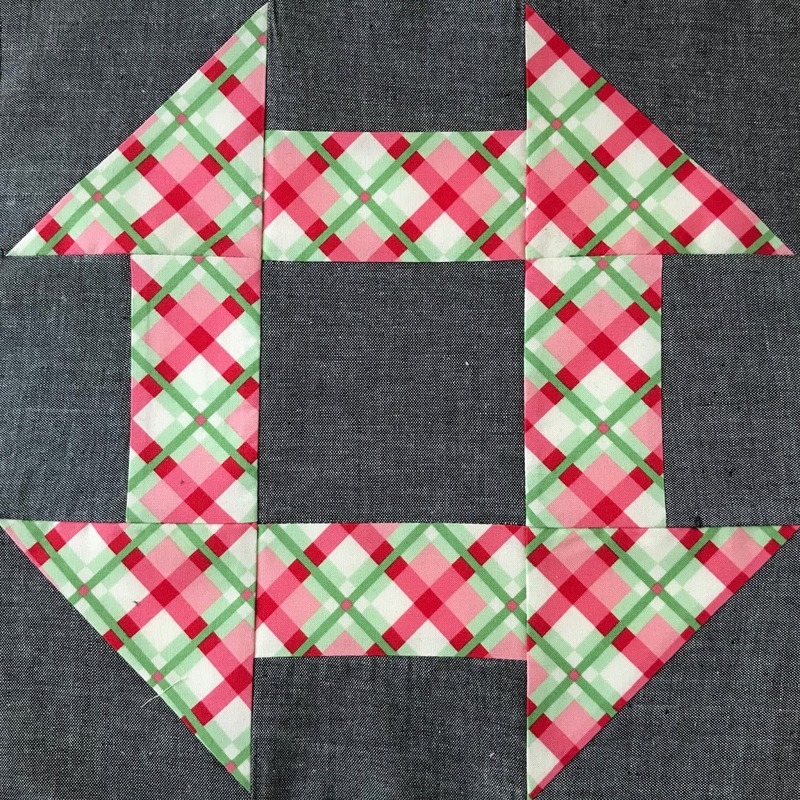 Hop on over to Fat Quarter Shop's post to see more Fat Quarter Cubes quilts by other makers. 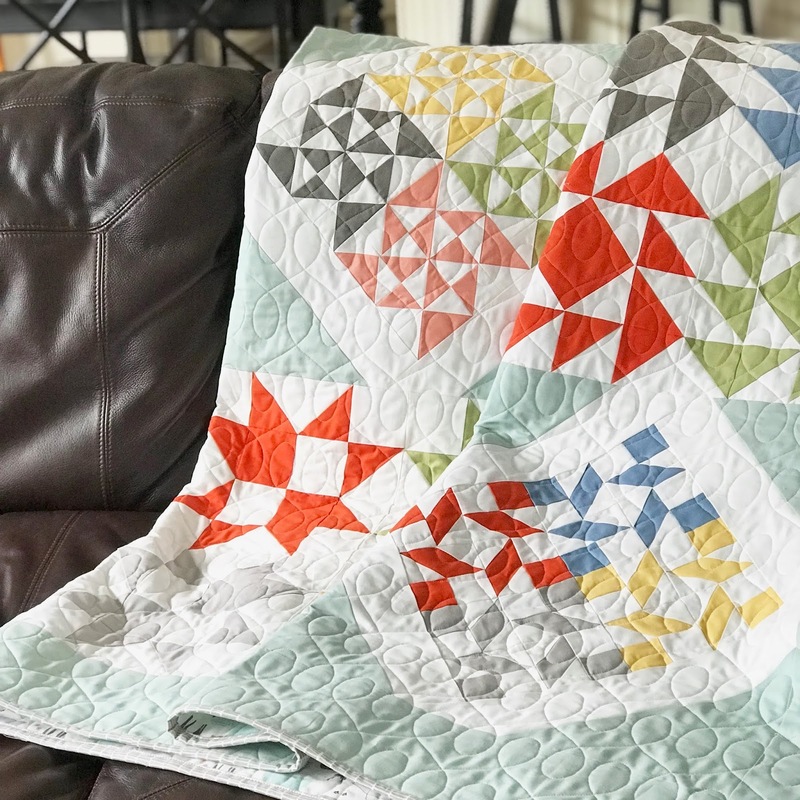 You'll also find a video tutorial showing how quick and easy this quilt truly is.